Mark Nelson is a young police officer, newly assigned to the team of John Mercer - a highly-decorated and successful detective, and author of a bestselling true crime book based on his years of experience catching killers. Mackey is a legend in the force and it's a huge opportunity for Mark, who has dedicated his life to his job ever since the death of his girlfriend years before. When a man is found burned to death in his own home, Mackey's team is thrown into an investigation that grows darker and more complex at every turn. 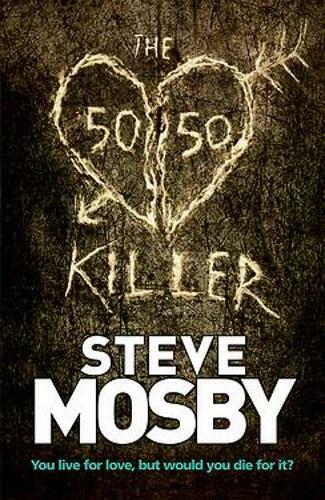 The evidence points to a man known as the Fifty-Fifty Killer. His targets are young couples, who he stalks and subjects to a single night of torture and manipulation, testing and destroying the love between them. Only one of them ever survives until dawn. And his victims include a former member of Mackey's team. Soon afterwards, a young man walks into a police station badly tortured and with his memory in tatters. He knows only that his girlfriend is still being held captive in the woods he's escaped from. But the team know that by fleeing, the man has sealed his girlfriend's fate. If they can't piece together his experience by daybreak then she will die in his place.